Police are dealing with a suspect device in Lurgan. Army Technical Officers are at the scene in Windsor Avenue. 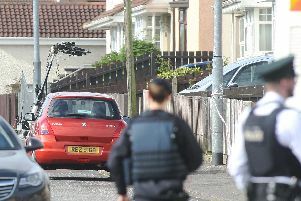 Police said: “Police in Lurgan are at the scene of a suspect package in the Windsor Avenue area. “ATO are in attendance. A number of homes have been evacuated,” said a spokesperson.